Welcome to our Dublin, Georgia page. We provide listings of: women's shelters, family shelters, transitional housing, residential treatment centers and other residential services for women. 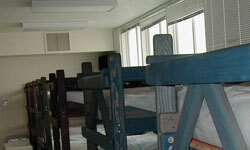 Women in Need of Gods Shelter provides a temporary emergency shelter that has 15 beds where victims and their children can stay if home is no longer a safe place.